While your in Old Forge, NY it's worth a visit to the 2350 foot summit of Bald Mountain. 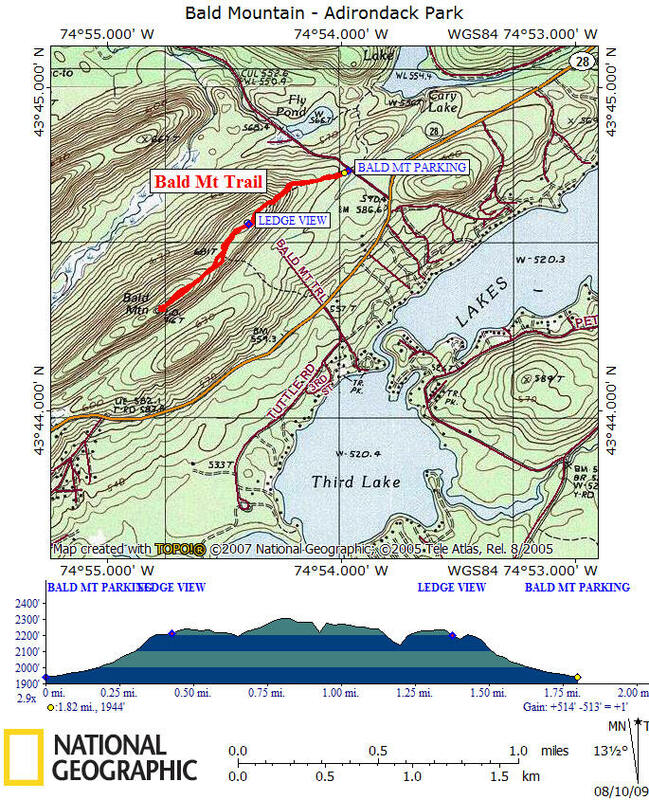 The total distance to hike to the summit of Bald Mountain is just under a mile and the ascent is about 500 feet. The start of the hike is a deceptively easy walk in the woods, but fairly soon you come to the steepest section where you climb a widely eroded trail up onto the top of the descending ridge. Soon after you begin to “top out” you come to the first of several intermediate view points. After that the trail follows the spine of the ridge with a few minor ups and downs. This ridge top trail is over bed rock much of the way. The Rondaxe Fire Tower, located on the summit, has been restored so that you can climb up for the best views. The summit area is open, quite long and can easily accommodate a large number of hikers. Don't expect to be alone during this nearly two mile round trip hike, as it is a very popular hike. There are fantastic views from the fire tower, but also from the many view points along the trail. You don't need to climb the fire tower to enjoy the views. 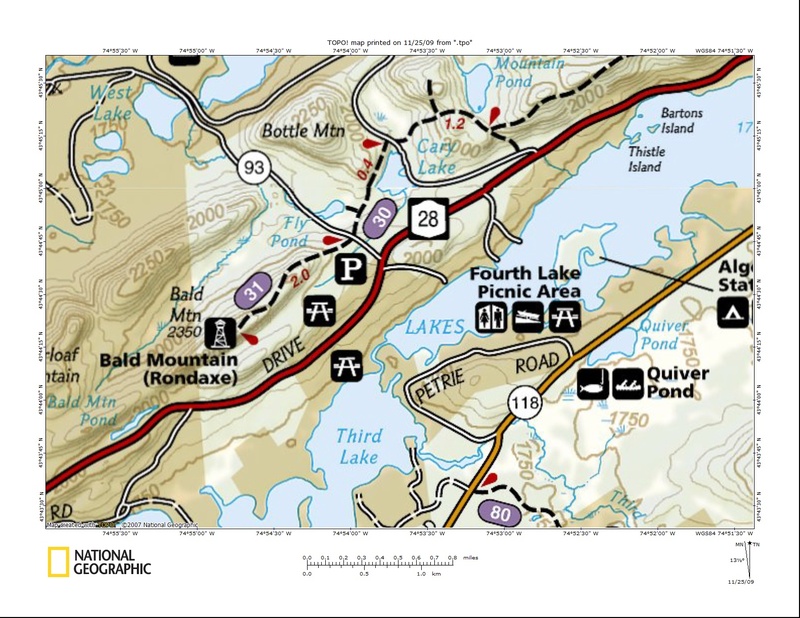 Bald Mountain is part of the "ADK Fire Tower Challenge". NOTES: There are two other summit hikes close by that are worth checking out. You could do all three in one day. They are hikes to Rocky Mountain & Black Bear Mountain. Look below for pictures, a video and map of this very popular hike. Directions: North of Old Forge off NY 28. Turn left on Rondaxe Road. There are many signs for the trailhead. This is a very popular hike, so the parking area fills up quickly.